What is a Network & Inter Network ? Why do we need Computer Network? WHAT IS A INTER NETWORK ? An inter network is a connection of two or more network. Inter networking is communication between different network. WHY DO WE NEED COMPUTER NETWORK ? 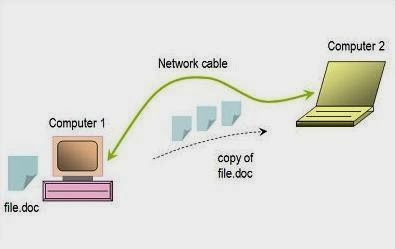 Network enable us share the files and hardware resources among number of users. Allow us to communicate with different peoples sitting at different locations. Allow us play multi-user games online sitting on different locations. .